Microsoft has introduced a DVD player app for Windows 10 for people who still want to pop in a good, old fashioned disc to watch a movie. The app will play commercial and homemade discs that use the DVD-Video format. How about playing Blu-ray disc on Windows 10? There are many program on the market can do that work for you, after reading many site reviews and comparison, you may finally settled on Pavtube BDMagic, which has perfect compatibility with both Windows 10 and Windows Media Player 12. It can do you a great favor to rip copy & region protected Blu-ray disc, BDMV folders and Blu-ray ISO image files to WMP 12 playable formats listed above. 1. 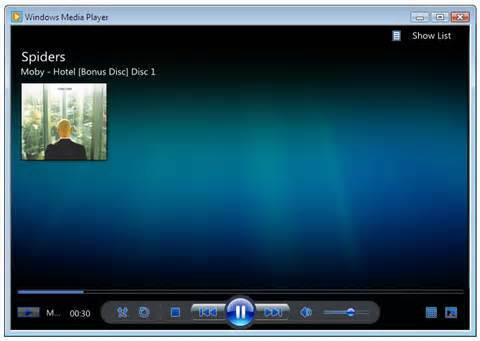 Open Windows Media Player on your computer. If the Player is currently open and you're in Now Playing mode, click the Switch to Library button in the upper-right corner of the Player. 2. Click the Play menu, point to Lyrics, Captions and Subtitles and then click On if Available. If the Play menu isn't visible, you'll need to show the menu bar. To do so, click Organize, point to Layout, and then select Show menu bar. 3.Begin playing a file or DVD that contains captions or subtitles. Subtitles appear on top of DVD videos, while captions appear below the video portion of Windows Media Video (WMV) files. 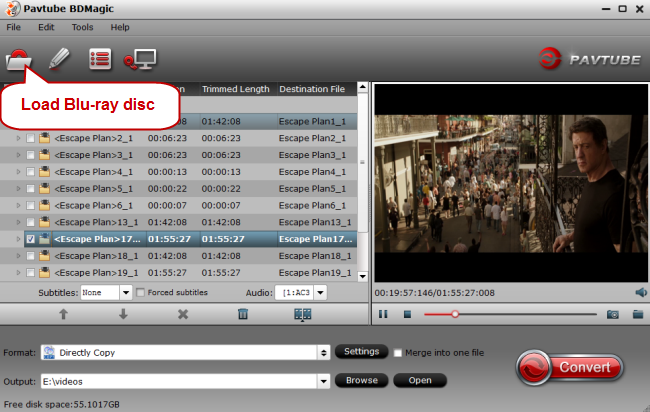 Setting Blu-ray Subtitled in the ripping process is another big merits of our program. 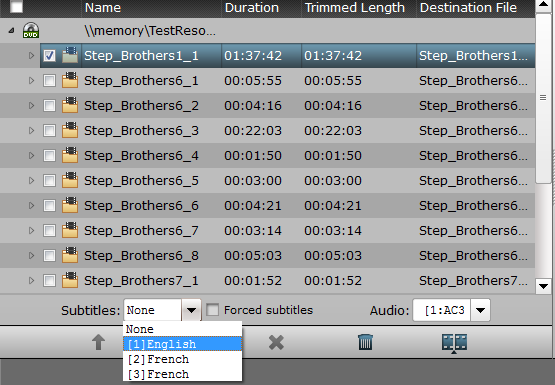 You can either select your desired language subtitles from internal Blu-ray movies or add external subtitles online downloaded to your movies if the original Blu-ray movies do not contain any language subtitles that you understand, you can also enable forced subtitle functions to only display subtitles when a different language is spoken. Run the program on your computer, insert your Blu-ray disc into an external Blu-ray drive connected with your computer, then click "File" on upper-left corner or the file icon right below it to load your Blu-ray discs. 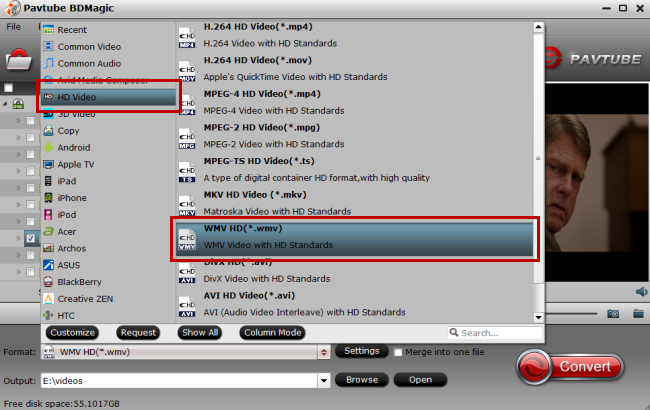 Step 2: Choose the best video playback format for WMP. Click the "Format" bar, from its drop-down list, select "HD Video" > "WMV HD(*.wmv)" as the desired format for playing back on Windows Media Player 12. Step 3: Set subtitles for Windows Media Player 12. Select desired subtitles or enable forced subtitles: On the main interface, check the movie titles you want to rip, from the drop-down list of subtitles, select one of your desired language as your subtitles, if you check "Forced subtitles" option, you will see subtitles only when actors are speaking a language that are different from the subtitles that your specified before. Step 4: Start the Blu-ray to WMP 12 ripping process. Clicking the Convert button on main interface, you can go to Conversion window to start conversion. After the conversion, you can click Open output folder to popup output directory with the converted files. Besides Blu-ray disc, you may also have other common files formats such as MP4, Tivo files, YouTube video, etc or DVD disc to be played with Windows Media Player 12 on Windows 10. 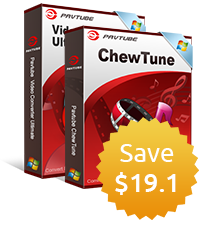 Here, we highly recommend you to download Pavtube Video Converter Ultimate for Windows/Mac which can convert virtually any format with the file resolution of SD/HD/2K/4K to WMP 12 best playable formats. For those people who want true HD video quality and the experience of navigating disc extras and menus, you'll need a Blu-ray media player that's up to the task. Here are five of the best Blu-ray compatible media players, based on your nominations.